Some can dig for a lifetime and settle for scraps, others dig deep, take a chance and find something more precious than gold. This game has 9 winning lines which you can play both sides, right to left and left to right. 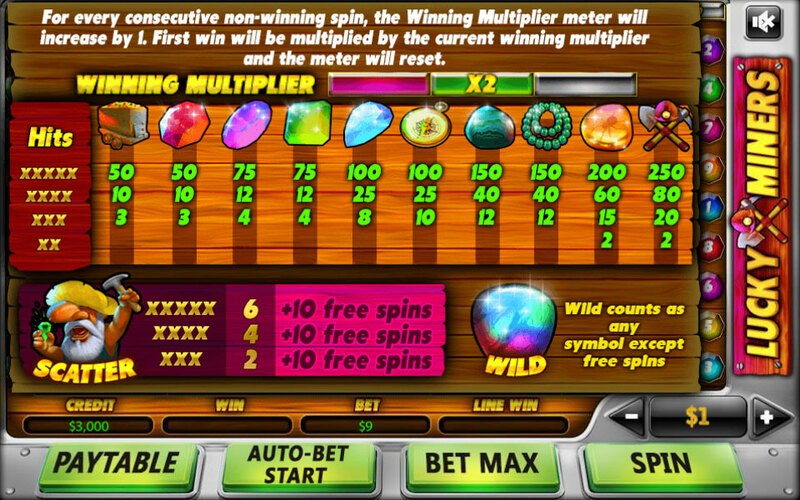 In the spirit of digging deep we introduce the winning multiplier – this cool feature will multiply your first win after every non-win round up to 16 times!! Last but not least the Scatter bonus. 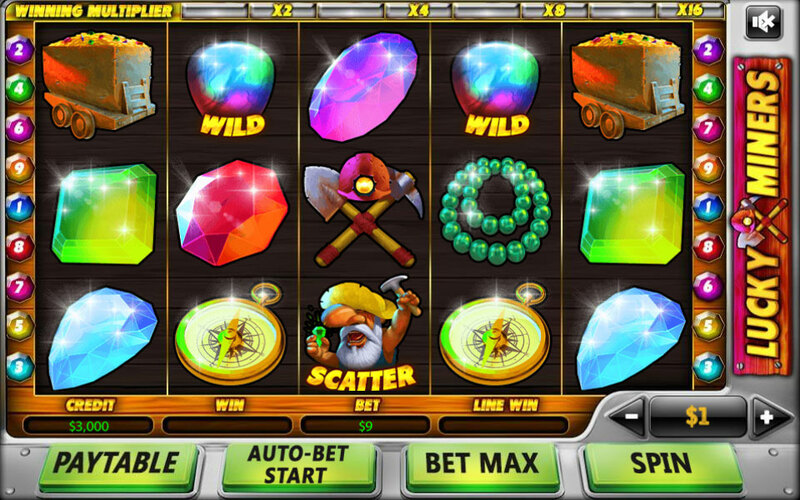 By receiving 2 or more will grant you 10 free spins!